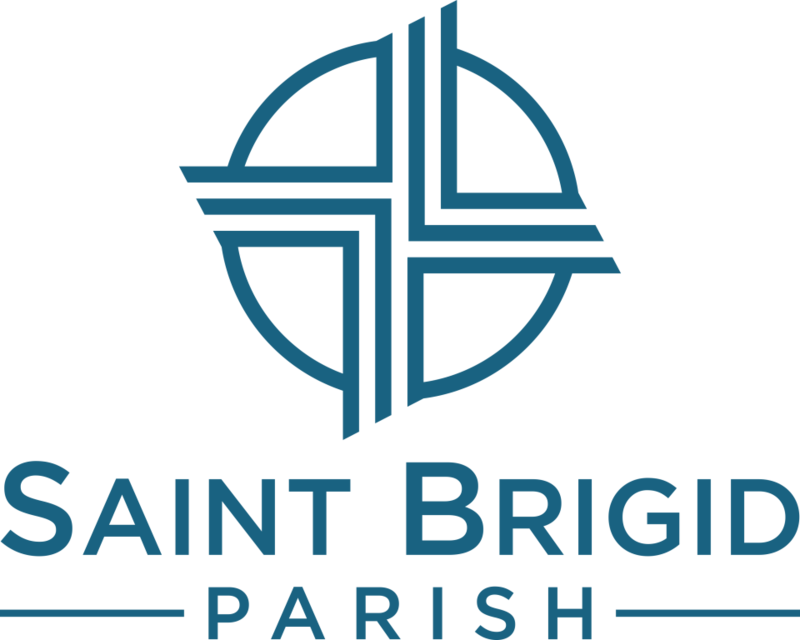 Our parish takes its name from our Irish patroness, Saint Brigid of Kildare, who used reeds to weave crosses while explaining God’s love for us. We are a community of believers, woven together in fellowship and faith. We are also very human, knowing that we aren’t done learning and growing yet, understanding that nobody is perfect! If you look closely at the spaces in between the central cross of the logo, you’ll see that it is imperfect too. We’re aware of the brokenness in our world, our community, and our families, but we hope that by exposing our weaknesses we can also make room for healing. We hope to grow closer to Jesus, acknowledging our past, learning from each other, and developing joyful relationships that lead to Him.